Volume 9 of the "Great Battles of History" series. 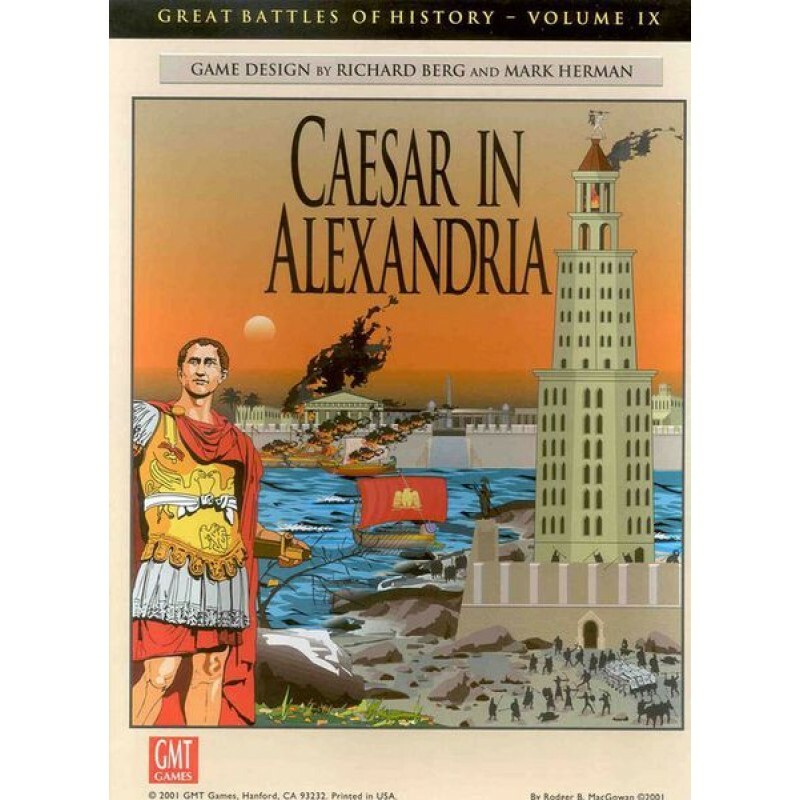 Caesar in Alexandria challenges the best GBoH players out there by allowing them to conduct both land and naval operations at the same time, in this simulation of Julius Caesar's rather rash pas de deux with the Egyptians in 47 BC. Caesar and the Romans - the VI, XXVII, and XXXVII legions, lots of archers and auxiliaries, and a dangerous contingent of field artillery - control the center of the city, including the Palace and the Inner Harbor. The Egyptians - a mixture of heavy, medium, and light infantry, and a numerically superior galley fleet - control the Outer Harbor, the rest of the city, and all land approaches to it. The Romans must defend their city position and also take control of the Heptastadium, the bridge that connects the city to the island of Pharos and its lighthouse, one of the Seven Wonders of the World. 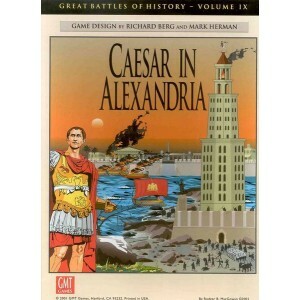 Caesar in Alexandria combines GBoH with War Galley, with rules for both systems included. On land, the game is closer to Simple GBoH (which is not needed to play this), mostly because the form of warfare involved here: street-fighting. Caesar in Alexandria also uses the SGBoH command and activation system, which is what produces the large dose of tension. Do you move legions to protect your inner defense, or do you continue to attack the town of Pharos to gain access to the Heptastadium? Do you transport land troops to the island, or do you move your battle galleys out to sea, around Pharos, and into the Outer Harbor to attack the Egyptian fleet? Each turn you can do only one, all the while your opponent is considering his several, difficult options. Included are some small scenarios for quicker play.